Sailing catamaran Tahiti - new way of sea leisure. where we are always glad to see you. Big party everyday, we are waiting for everybody! 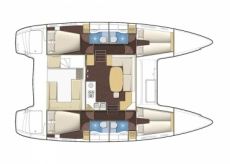 Lagoon 400 S2 In 2009, the 400-th model has found a second youth, thanks to the work of specialists NautaDesign"
Croatia Croatia – small country for a great vacation! Picturesque coastline, adorned with hundreds of Islands, pleasing to the eye and attracts thousands of tourists every year. To come to Croatia by chance, only once... Every next trip to this Paradise of the Adriatic sea will be always welcome. Safe, no sea sickness, close to the shore, much space, what else influence your satisfaction from the holiday? We booked Lagoon450 in Mallorka at the end of August - best catamaran and skiper very professional! Yachting for beginners The most important and interesting facts you need to know of sailing yachts, catamarans , what you need to know about sailing yachts, catamarans, yachting etc. Movida Beach Club Parking, restaurant, bar, beach, water sports, cleanness. Affordable. Great place for a family leisure at sea. Yacht Voyage - how it is made? Yacht Voyage offers totally new kind of tourism for those who plan to spend their holidays at sea – sailing yacht charter. We offer participation in regattas to those who have sailing certificates and experience or who want to support their sailing skills, on premium class catamarans. Italy – Sardinia island, Marina di Olbia, 14 sailboats. Wide selection of sailboats at your disposal (our website provides easy and comfortable search of accessible boats), routes and places you would like to visit. Experienced yachtsmen and beginners can try a bareboat charter and enjoy training their sailing skills. Even in this case we offer the same special deals and additional services – get yourself more comfortable yachting! 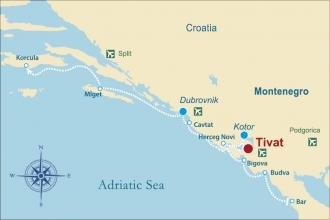 For large tourist groups we offer one-day trips on board of the large tourist multihull «Tahiti» along the Montenegro coastline, We may organize team building cruises, wedding ceremoniesand wedding parties, the Boka Bay cruises and other programs. Yacht Voyage organizes your luxurious holiday in «hotel at sea» with constantly changing marine and coastline scenery at the price of standard vacation in Europe! The price is of course one of the first clients´ concerns! We have calculated everything – sea holiday on a chartered boat will cost you as much as your standard hotel accommodation! But the quality of comfort and freedom of travel raise vacation of this kind to the elite level!